Abco Precision Machining is an Australian owned precision machining shop, specializing in Computer Numerical Controlled or CNC Machining, CNC Milling, and CNC Turning to support a wide range of market sectors in Brisbane. In 1996, Paul Oliver and Brett Blackman founded Abco Precision Machining (CNC Company) which is currently located in Archerfield Queensland. Abco is a production machine shop that specializes in the machining of medium to large castings for mining, resource and rail industries. 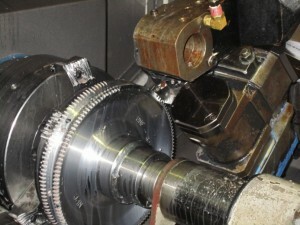 Abco specializes in CNC machining, CNC cutting, CNC milling, and CNC turning services in Brisbane. Our manufactured custom made parts, range from ‘one off’s’ to high production quantities, we can assist our customers in solving challenging CNC machining projects. As a CNC company, we also provide quality solutions by CMM measuring in our climate controlled room, from single piece part to large measurements and from simple geometry to 3D modeling. 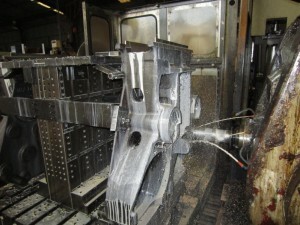 As a CNC Machining company, we want to be your first choice for CNC machining. We have an experienced, knowledgeable and skilled, team who can cover a wide range of disciplines. With this and integrating the latest and best CAD/CAM software, it enables Abco Precision Machining Pty Ltd to provide a high level quality service. If you need more info about CNC Machining, CNC Milling, CNC Cutting, CNC Machine Milling, and CNC Turning services, contact Abco Precision Machining now!